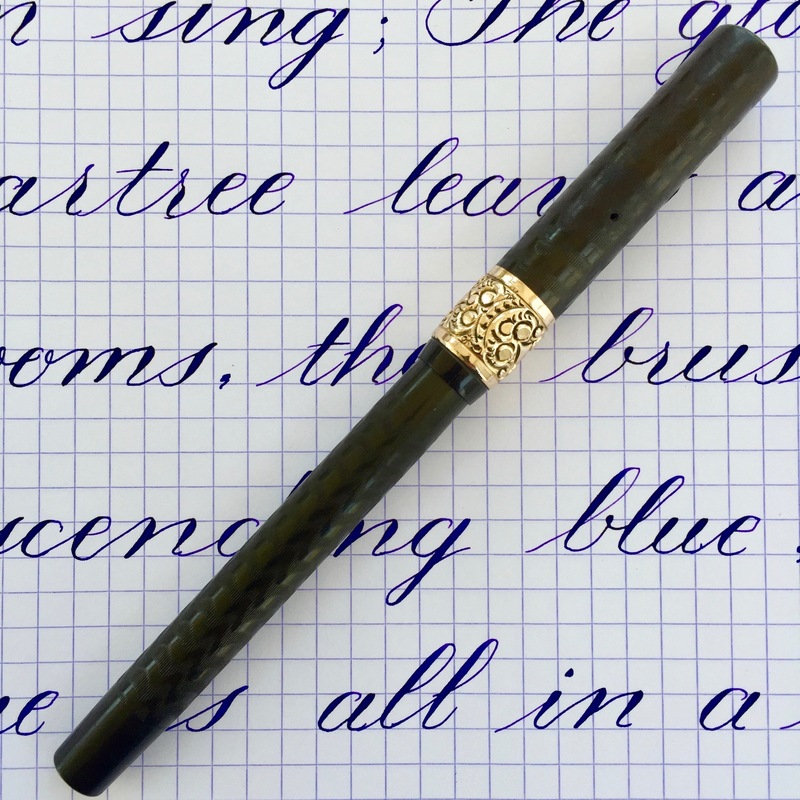 Here is a lovely Waterman 12 eyedropper in BCHR. The black hard rubber is faded a bit into a very dark blackish brown. The chasing, however, is still very nice with some good texture left on it. Imprints are perfect and easy to read. There is a gold-filled repousse band on the cap with no brassing that I saw. There is tiny crack in the lip of the cap (see pic), but this will not expand thanks to the cap band. There are also some teeth marks on the section (see pic). 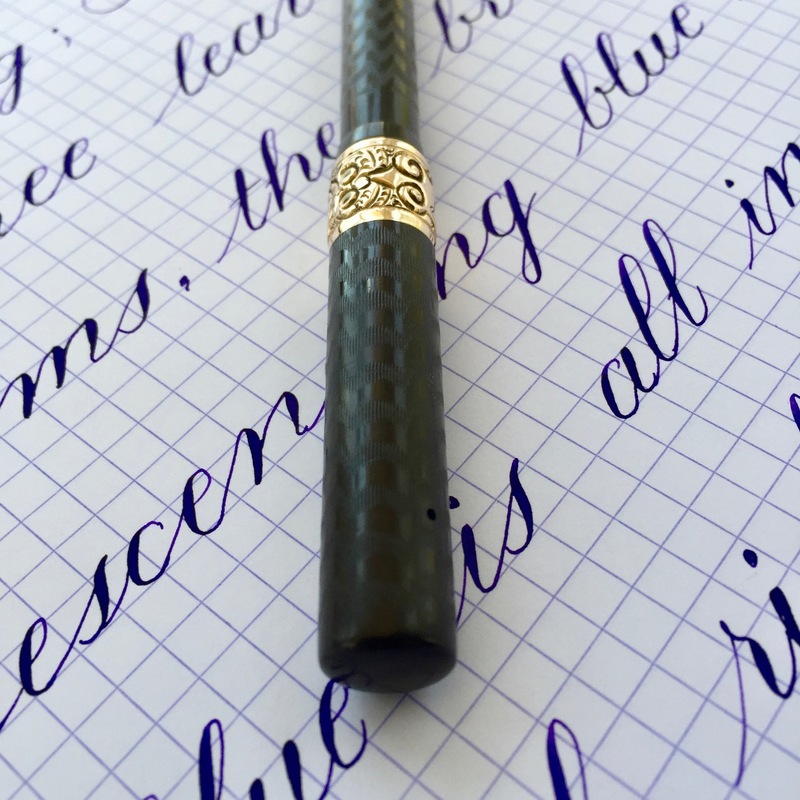 The 14tk Waterman #2 is a lovely writing XXF nib. 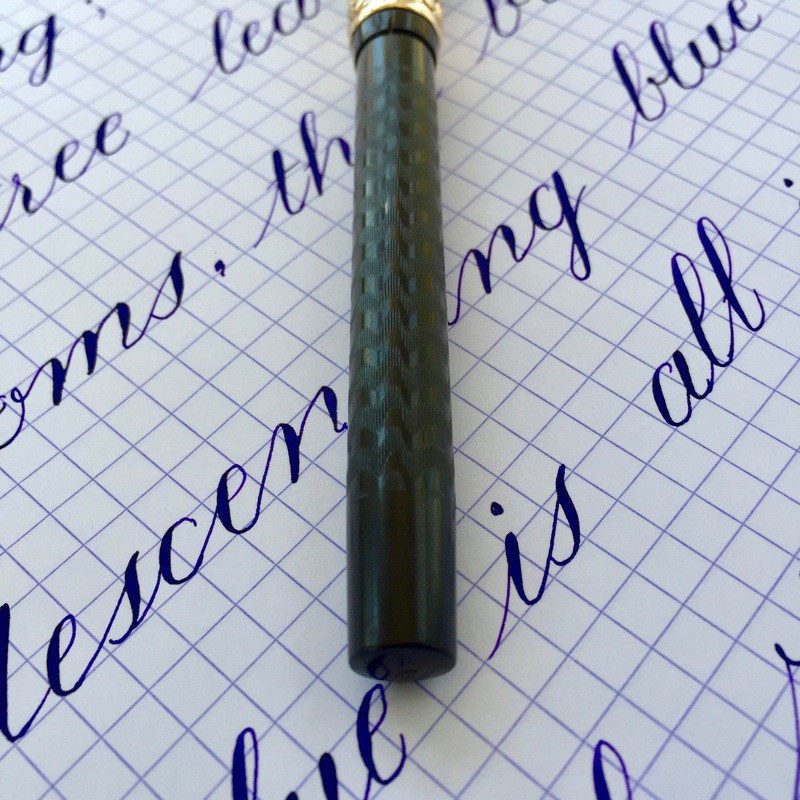 The nib does not have a huge range of flex going up to BB (1.5mm), but it is definitely good enough to pair with the XXF point. 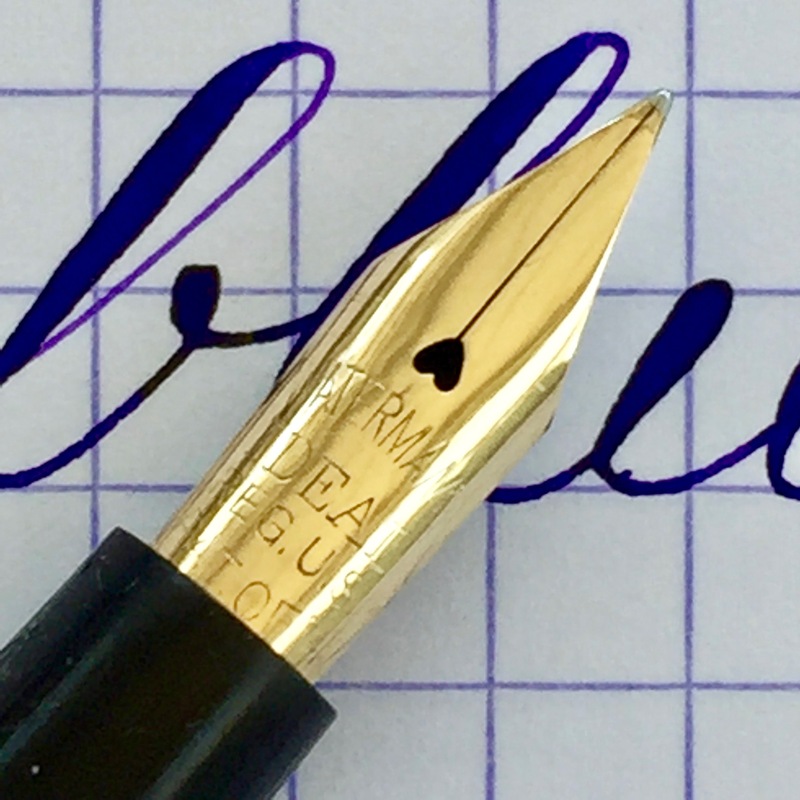 Ease of flex is on the low end of “super flex,” I would say, but the responsiveness of the nib caused me to grade it as I did. 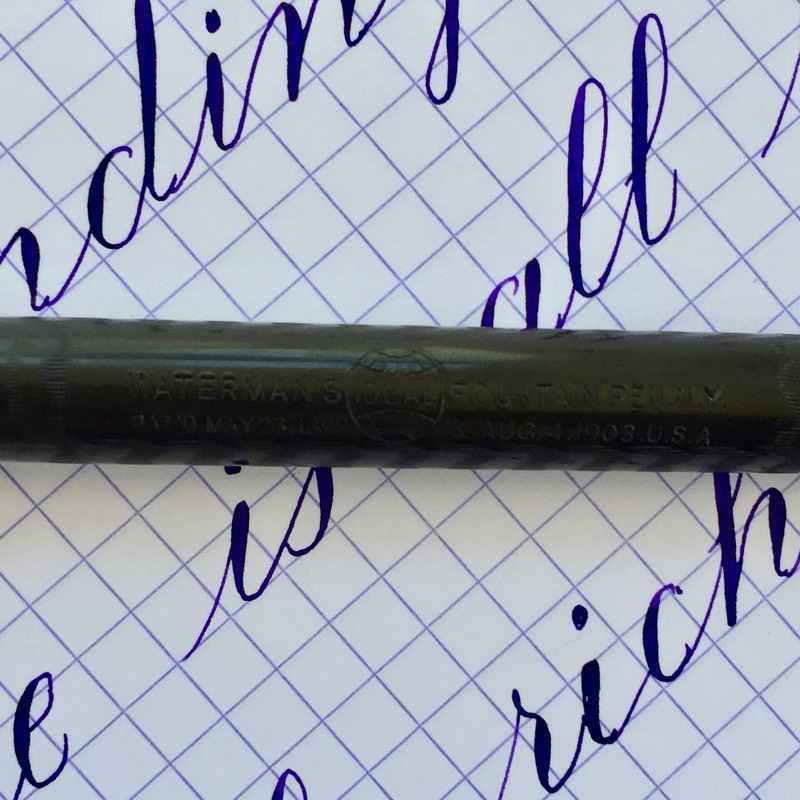 R & K Cassis (the ink I used) doesn’t emphasize responsiveness that well, which makes the nib’s snappiness that much more impressive. If you are looking for something that makes big, paintbrush lines….this isn’t it (though I do sell those as well). 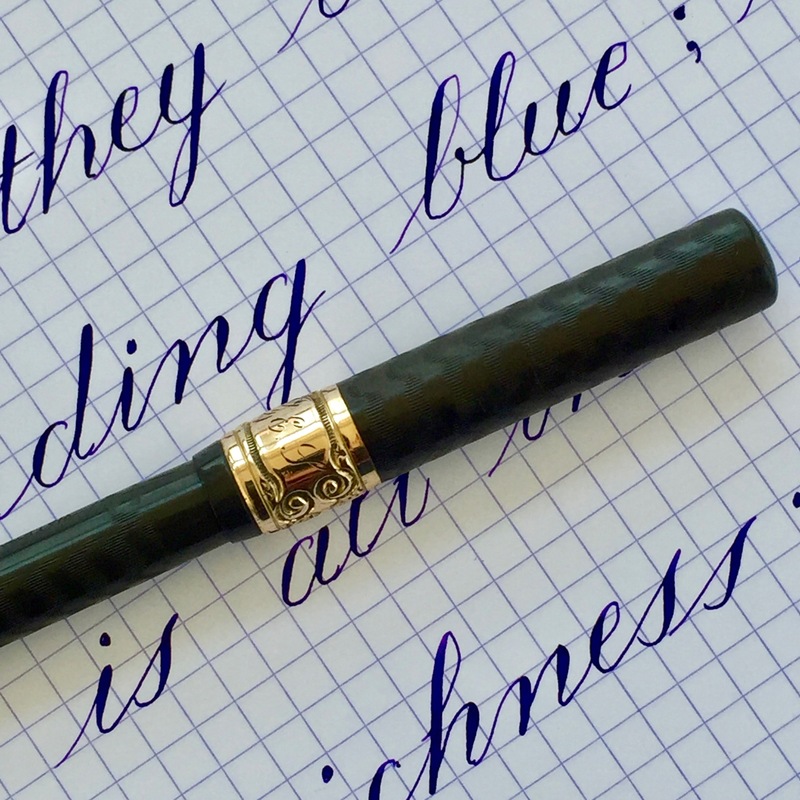 But if you want something for a more Copperplate style, this is a nice choice.